Signature Bank’s (NASDAQ:SBNY) profitability and risk are largely affected by the underlying economic growth for the region it operates in US given it is a small-cap stock with a market capitalisation of US$5.6b. A bank’s cash flow is directly impacted by economic growth as it is the main driver of deposit levels and demand for loans which it profits from. Post-GFC recovery brought about a new set of reforms, Basel III, which was created to improve regulation, supervision and risk management in the financial services industry. These reforms target banking regulations and intends to enhance financial institutions’ ability to absorb shocks resulting from economic stress which could expose banks like Signature Bank to vulnerabilities. Since its financial standing can unexpectedly decline in the case of an adverse macro event such as political instability, it is important to understand how prudent the bank is at managing its risk levels. Strong management of leverage and liquidity could place the bank in a protected position at the face of macro headwinds. We can gauge Signature Bank’s risk-taking behaviour by analysing three metrics for leverage and liquidity which I will take you through now. Why Does SBNY’s Leverage Matter? Banks with low leverage are better positioned to weather adverse headwinds as they have less debt to pay off. A bank’s leverage may be thought of as the level of assets it owns compared to its own shareholders’ equity. 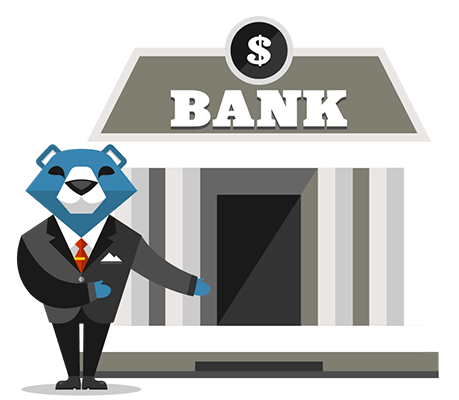 Though banks are required to have a certain level of buffer to meet its capital requirements, Signature Bank’s leverage level of 10.82x is very safe and substantially below the maximum limit of 20x. This means the bank has a sensibly high level of equity compared to the level of debt it has taken on to maintain operations which places it in a strong position to pay back its debt in unforeseen circumstances. If the bank needs to increase its debt levels to firm up its capital cushion, there is plenty of headroom to do so without deteriorating its financial position. How Should We Measure SBNY’s Liquidity? Since loans are relatively illiquid, we should know how much of Signature Bank’s total assets are comprised of these loans. Normally, they should not exceed 70% of total assets, but its current level of 76% means the bank has lent out 6.1% above the sensible upper limit. This means its revenue is reliant on these specific assets which means the bank is also more exposed to defaulting relative to banks with less loans. Does SBNY Have Liquidity Mismatch? A way banks make money is by lending out its deposits as loans. Loans are generally fixed term which means they cannot be readily realized, yet customer deposits on the liability side must be paid on-demand and in short notice. This mismatch between illiquid loans and liquid deposits poses a risk for the bank if unusual events occur and requires it to immediately repay its depositors. Since Signature Bank’s loan to deposit ratio of 97% is higher than the appropriate level of 90%, this level puts the bank in a risky position as it borders negative liquidity disparity between loan and deposit levels. Basically, for $1 of deposits with the bank, it lends out over $0.9 which is imprudent. What does Patagonia Gold plc's (LON:PGD) Balance Sheet Tell Us About Its Future? Can We See Significant Institutional Ownership On The Mostostal Warszawa S.A. (WSE:MSW) Share Register?